The sad news is that there’s very little you can do if you are stuck in an irregular operation like a long delay or cancellation (called IROPS travel industry parlance). In the case of flight cancellation, all any airline is contractually required to do is offer you a seat on their next available flight, or refund your money if you decide to cancel the trip altogether. It is not required to offer you a seat on another carrier. So, you end up “getting what you pay for” when you book a low-fare carrier with a thin schedule. A good rule of thumb when booking low-fare carriers is to check and see how many flights per day it offers, then determine your risks. A good example of this is the market between Atlanta and San Francisco. 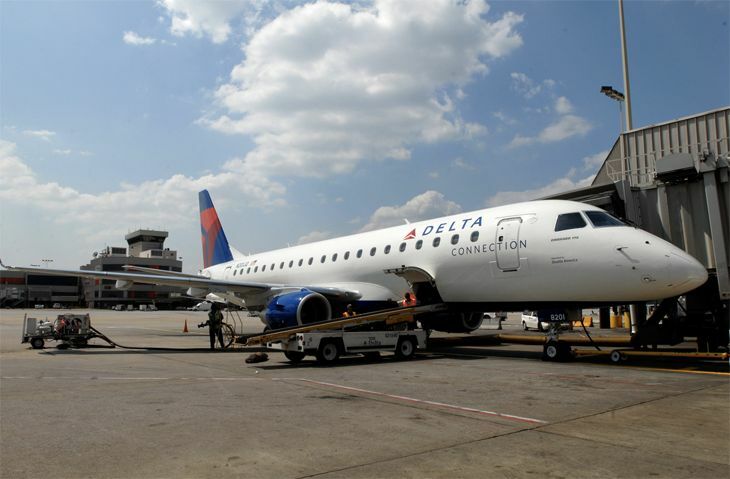 Delta offers seven nonstop flights per day on the route– with the lowest fares usually in the $350 range. 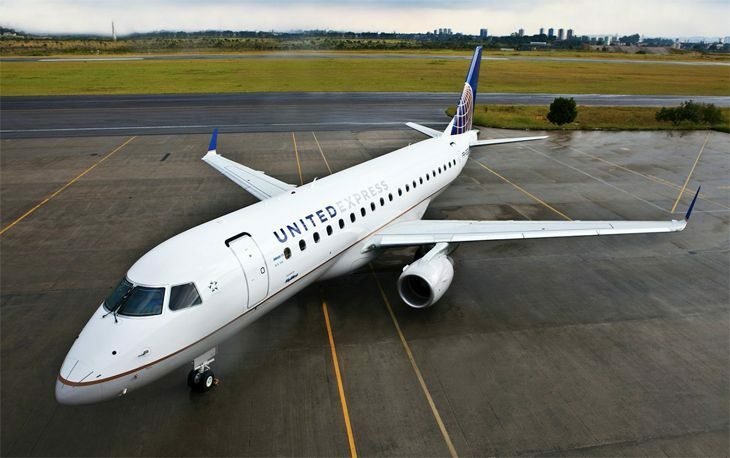 United offers two nonstops at about the same price. Frontier, which frequently offers fares as low a $200 round trip, only offers one. This is one way major carriers with robust schedules have a leg up on the low-fare competition with their new “basic economy fares.” During IROPS, a major carrier can usually offer several nonstop or one-stop alternatives to get you to your final destination a few hours late instead of a day or two late. A low-fare carrier can’t. And you get stuck. Has this happened to you? How did it work out? Have you flown a low-fare carrier? Please leave your comments below. The internet is abuzz with chatter about a United Airlines passenger forcibly removed from a recent Chicago-Louisville flight. The videos posted by passengers onboard (below) are shocking and appalling. Awful, yes, but here’s the deal: Passengers agree to a “contract of carriage” when buying airline tickets. Included in that contract is the airline’s right to refuse to transport you for any reason. Also included in that contract is the compensation that the government requires airlines pay passengers who are involuntarily bumped. In a nutshell the airline does not have to pay any compensation if it can get the involuntarily bumped passenger to his/her destination within one hour of the originally scheduled arrival time. If the passenger is more than two hours late, the airline must pay 200% of the one way fare in cash as compensation. If more than four hours late, it must pay 400% of the one way fare. It’s important to note that government rules kick on only in involuntary bumping situations. Voluntary bumping compensation is determined by the free market. Usually this negotiation is done before the plane boards, but it appears that in this case, United boarded the plane and THEN decided to seek volunteers. When it could not find them, even at $800 + hotel, it randomly chose four passengers to be involuntarily bumped off the plane. According to various reports, United needed the seats to transport a crew to Louisville for a Monday morning flight. When one passenger refused the captain’s orders to get off, the airline called in local police to do the dirty work. 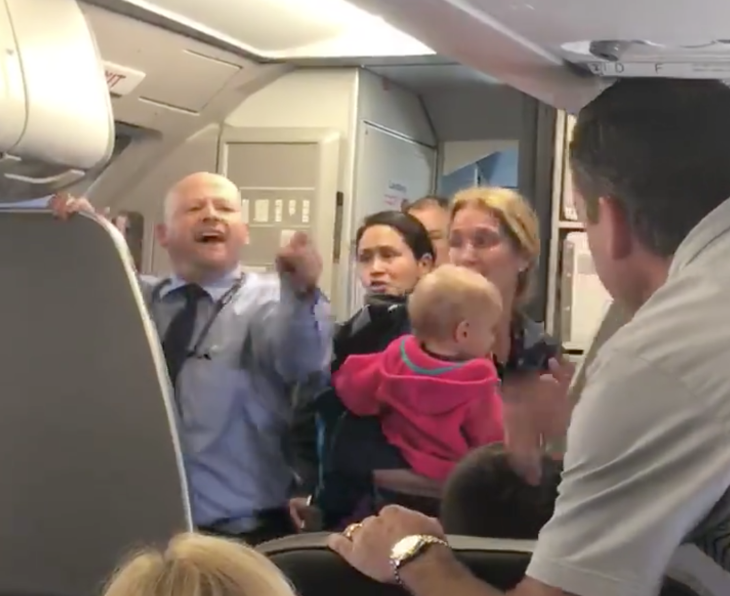 My take: As abhorrent and sickening as this video is, passengers should know what they agree to when buying an airline tickets, including the possibility of getting bumped. They also should know that when onboard a plane, the captain has the final word– his or her word is the law. If he or she tells you to get off the plane, you obey. 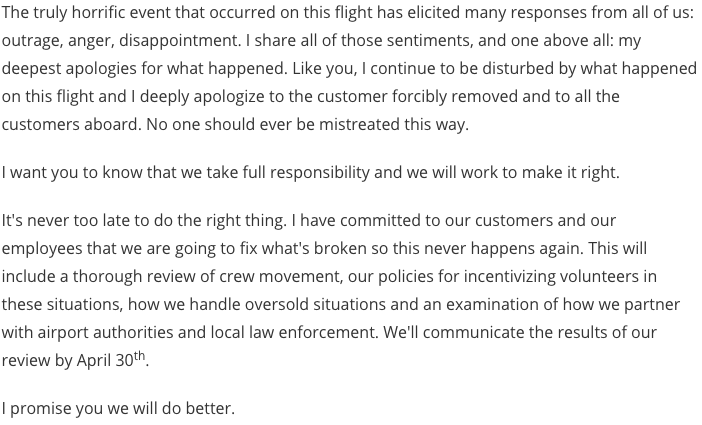 Could the airline crew members have handled this differently? The police? The passenger? United’s PR department? I say yes to all these questions. It will be interesting to see how this all shakes out as we get more details about exactly what happened. 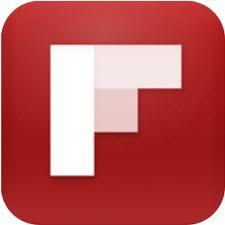 We’ll provide updates to this post (or future posts) as they roll in… stay tuned! While there’s a roaring debate these days about whether or not the last eight years have been good for the U.S., there’s little doubt that the period has been pretty good for travelers. Last week the Obama Administration released new rules designed to enhance the rights of airline travelers, and to ensure they have access to full and unbiased information when they select a flight. These consumer protections are just the latest in an ongoing series of steps that the administration has put in place over the past eight years– and that’s in addition to other traveler-friendly strides such as the implementation of PreCheck and Global Entry, and the relaxation of rules regarding travel to Cuba. 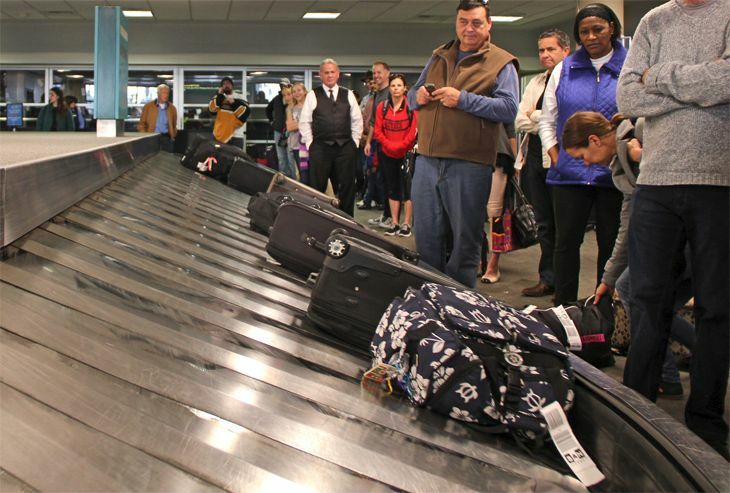 The Transportation Department this month said it has started a rulemaking proceeding that would require airlines to refund the fees that passengers pay for checked baggage in the event their bags are “substantially delayed” after their flight. The proceeding would determine what constitutes a substantial delay. Require airlines to report on-time arrival and departure performance for all domestic flights that operate under their brand – not just their so-called “mainline” flights. Currently, airline on-time performance statistics only include mainline flights, but major airlines typically put their brand identity on the flights of smaller regional airlines that are usually independently owned and operated, and that often do not operate on-time as much as their larger partners. Ban airlines and online travel agencies from “undisclosed biasing” of flight listings that consumers search through. Airlines sometimes enter into special agreements with online agencies, offering them more remuneration for preferred placement of their flight listings in the overall search results. And historically, the higher up a flight is listed, the more likely it is to be booked. Change the way mishandled baggage incidents are reported. Instead of relying on passenger reports of lost bags, DOT will require airlines to report the total number of bags they mishandled vs. the total number of checked bags they carried. 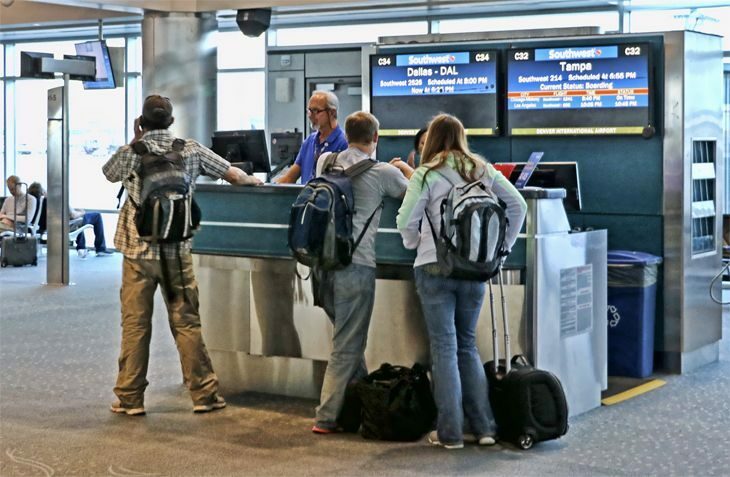 In addition, DOT has started a separate rulemaking to determine whether airlines should be required to share information on all passenger fees with the online agencies that sell many of their tickets. In recent years, most airlines have started to assess separate charges for many things that used to be included in the passenger’s ticket price, such as checked luggage, advance seat selection, in-flight meals, ticket change and cancellation fees, and so on. DOT rules haven’t caught up yet with these changes in the way air travel is marketed. A requirement that airlines must reimburse passengers for the checked-bag fee if their luggage is lost and not recovered. Previous rules said airlines had to compensate passengers for the lost bag and contents, but did not cover the checked bag fee. An order that the fares advertised by airlines and ticket agents to consumers must include not only the air fare itself, but also all government-imposed mandatory taxes and fees. Previously, taxes and mandatory fees were split out from the basic fare, and were often hidden in tiny type at the bottom of ads. Airlines were also required to prominently display on their websites all the potential fees that a consumer might have to pay in addition to air fare and taxes. A rule that doubled the amount of compensation airlines have to pay passengers who are bumped from a flight on which they hold a confirmed reservation (not counting passengers who voluntarily accept an airline’s offer in exchange for agreeing to take a later flight). The amount depends on how long it takes the airline to get the bumped passenger to his destination on a later flight; compensation is set at twice the cost of the ticket, up to a maximum of $650 for shorter delays and $1,300 for longer ones. A mandate that airlines must let customers hold a reservation for at least 24 hours before deciding whether to buy it or cancel it, assuming the booking is made at least a week before departure. 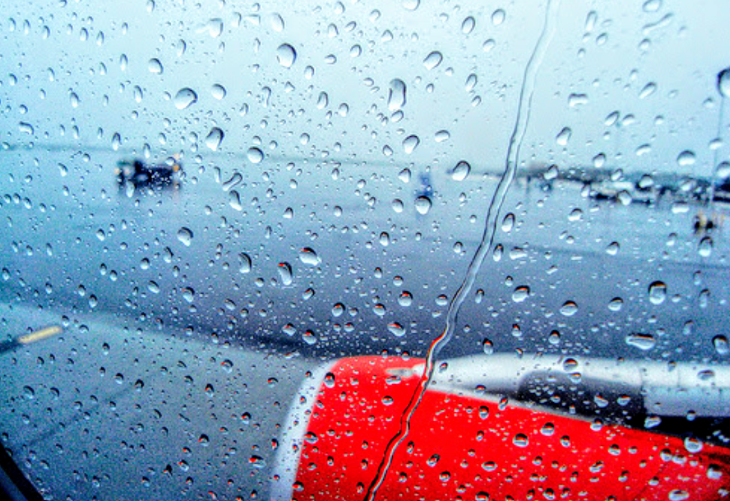 A “tarmac delay” rule initially introduced in 2009 that said airlines had to provide food and water after two hours and give passengers the option to get off the plane on domestic flights after they had been stuck on the tarmac for three hours (or face stiff fines). Two years later, that rule was expanded to set a four-hour tarmac delay limit on the international flights of U.S. and foreign airlines. So what do you think? Has the air travel experience improved for you over the last eight years…or not? Please share your observations and experiences below!